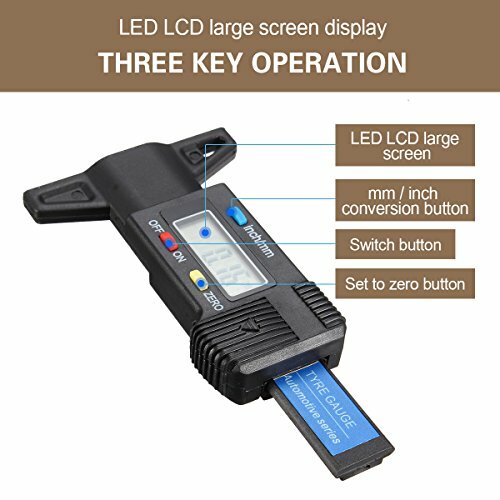 1.Digital large LED LCD screen display, easy reading. 3.One-touch switch between Metric/Inch system interchange, any position is set to zero for relative measurement. 4.Mini size, hand-held and portable. 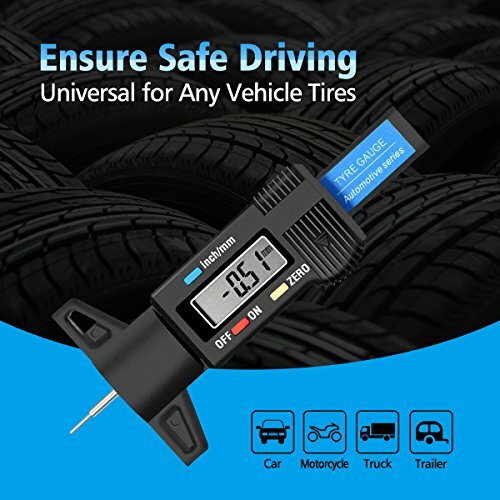 6.Suitable for cars motorcycles trucks vans SUV. 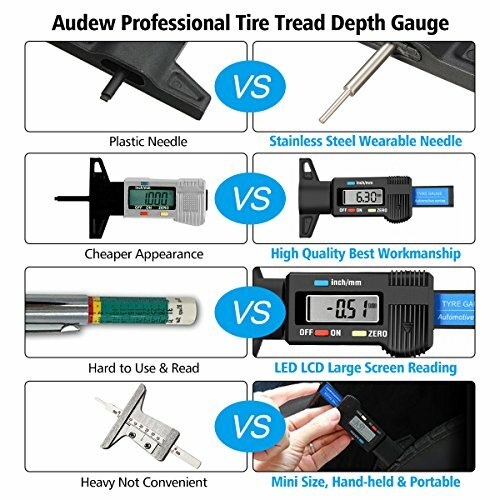 ✎ 【Audew Professional Tire Tread Depth Gauge】- Digital large LED LCD screen display, reading is easy, intuitive and reliable, timely understanding of tire wear, professional measurement of tire anti-skid pattern depth, suitable for cars motorcycles trucks vans. 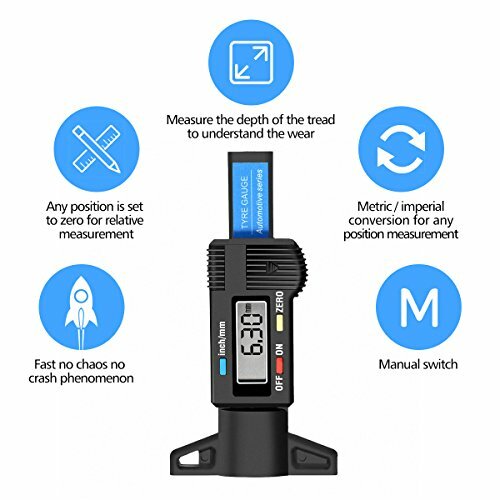 ✎ 【Accurate Measurement】 - High precision measurement, Range: 0-25.4mm, accurate to 0.01mm, accurate guarantee, easy to operate. 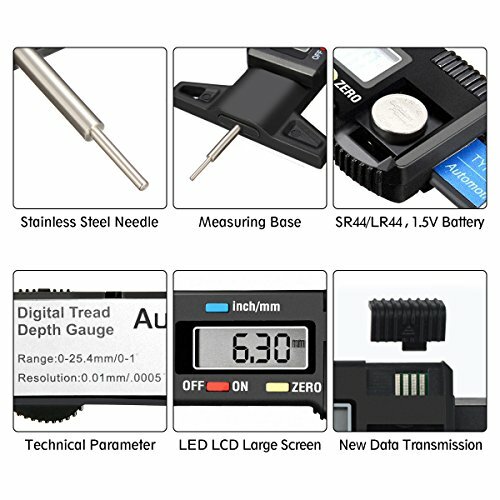 Stainless steel measuring, needle is more wearable. 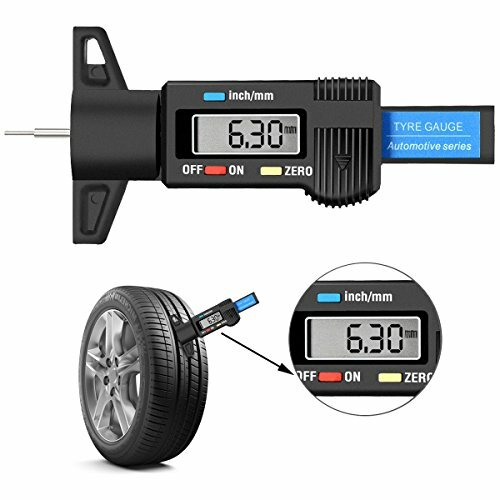 ✎ 【Easy Usage】- Suitable for tire depth measurement, One-touch switch between Metric/Inch system interchange, any position is set to zero for relative measurement. Manual power on/off. 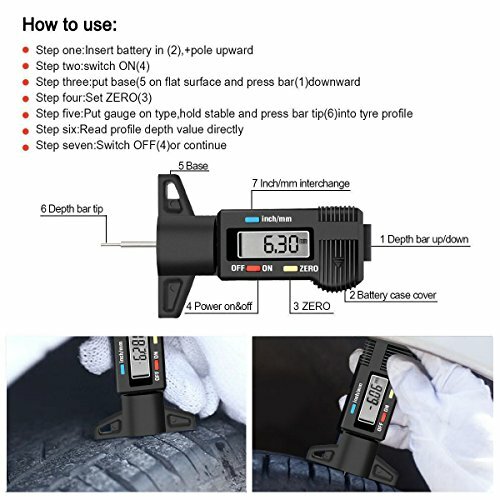 ✎ 【High Performance Portable Tire Gauge】Mini size, hand-held and portable. 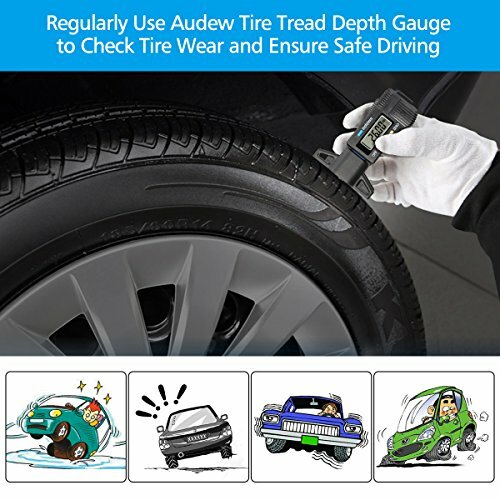 Fast no chaos no crash phenomenon, designed to facilitate quick and easy reading of tire tread depth to understand the wear. ✎ 【Resistant & Durable】 - Designed with electroplated iron probe, resistant, wear, durable, with CE certificate. Fine workmanship, atmospheric appearance, new data transmission hole.